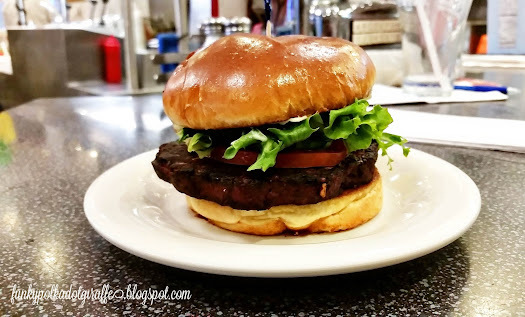 Disclosure: I was invited to try new veggie burger options at Johnny Rockets by Gigasavvy. All opinions are my own. and if it's not, they are making adjustments to make sure they are serving the best food. original, non-embellished forms, and give my honest opinion on each patty. 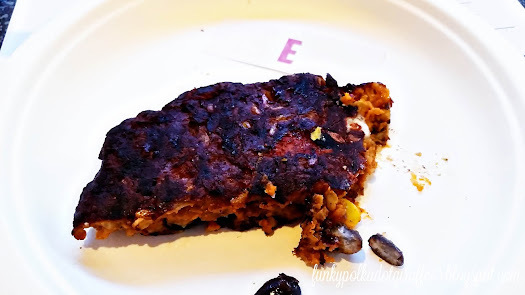 of the patties. My favorites were "B" and "E". I absolutely did not like "A" at all. without buns or condiments, so that we could really get the flavor and taste of each option. 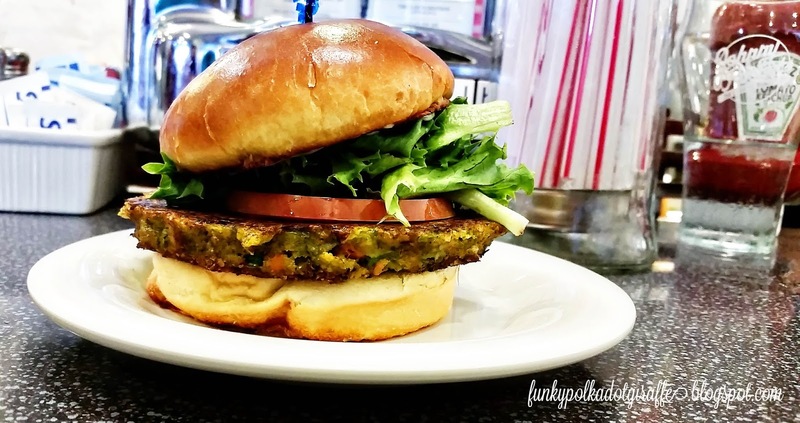 get a vision of how the new veggie patty will be plated and served when it's chosen. franchise or corporate locations in 28 countries around the world. 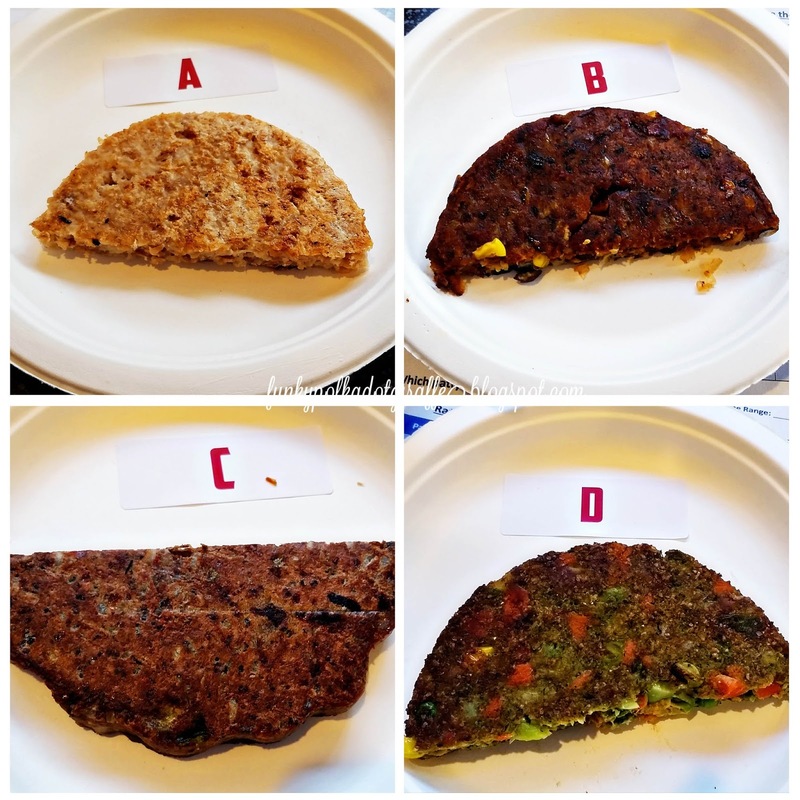 Have you ever participated in a food tasting focus group to choose a new menu item? improved menu items for yourself! Enter below. Open to US residents 18 years old and older. I haven't had a good veggie burger in a long time, but now you've got me thinking about having one! My favorite Johnny Rocket menu item is the Smokehouse Single...love that BBQ/ranch sauce! turkey burger and chocolate milkshake. yum! we love johnny rockets!! I love their milk shakes!! i love the cheeseburgers and shakes.